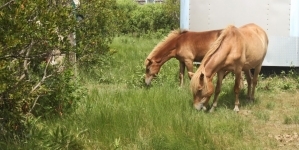 For the past two weeks, a small region of Assateague‘s shoreline located west of the Verrazano Bridge has been host to construction equipment and dump trucks, temporarily obscuring an otherwise beautiful, natural view of the state park. 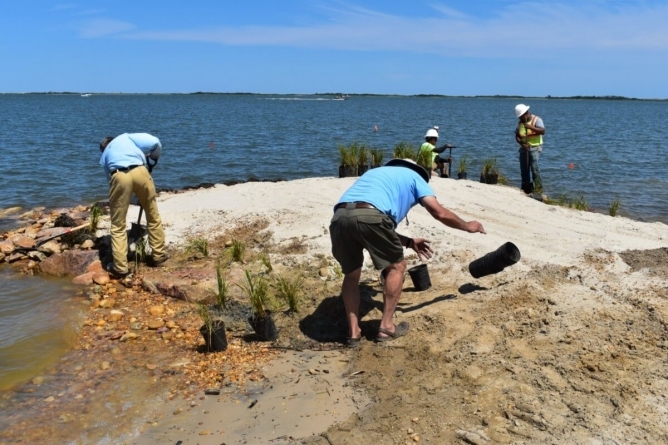 But the presence of the equipment, the workers and the sounds of construction all worked toward a good cause: they’re providing resiliency to Assateague’s shoreline and reducing shoreline erosion along the coast of the state park. 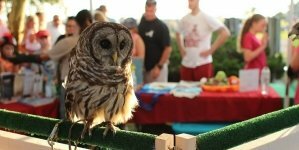 The project is a collaboration between the Maryland Department of Natural Resources, Maryland Coastal Bays and design/build contractors Underwood & Associates, and is funded by the Chesapeake and Atlantic Coastal Bays Trust Fund. Over the span of several weeks, natural structures including boulders, cobble and sand are placed along 10 constructed headland structures, which ultimately result in coastal resiliency against storms. These natural headlands were constructed along the shore to provide resiliency and protect the coastline from erosion. 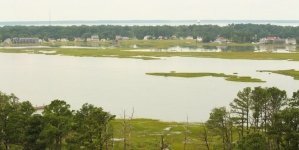 “Resiliency” is the big word of the project, said Roman Jesien of Maryland Coastal Bays, and the results of the project are long-term. 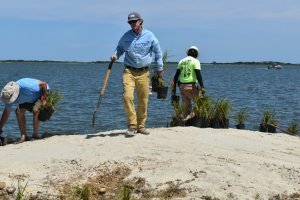 The long-term result of the resiliency project is a living shoreline, a stabilized coastal edge that grows with time and uses natural materials that provide wildlife habitat, rather than unnatural infrastructure like seawalls that hinder the development of plants and the habitats of animals. “The way that we do a living shoreline is, we set these vegetative breakwaters offshore and those dissipate wave energy and they create these really, really nice aquatic lagoons, aquatic habitats basically,” said Underwood & Associates Project Manager Chris Becraft. Working on a final phase of the project, planting vegetation along the headlands. 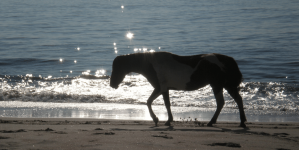 While the shoreline is benefiting from the project in terms of resiliency, Assateague’s aquatic ecosystem benefits as well. 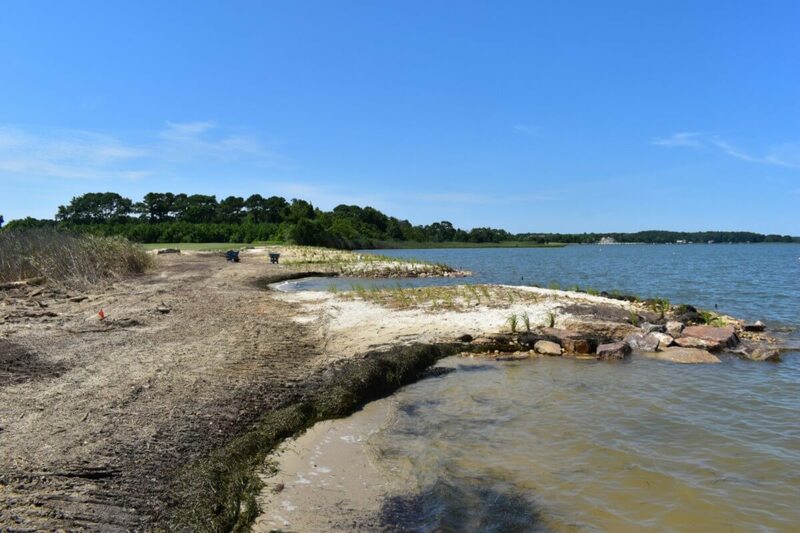 The lagoons make the perfect shallow water habitats for fish and horseshoe crabs, Becraft said, while aquatic grasses will be able to thrive underwater and turtles can nest on the white sands of the headlands. Even humans benefit from the resiliency project (although everyone benefits when natural ecosystems and their wildlife thrive!). The resiliency additionally applies to state park’s boat ramps, fishing piers and other public facilities, and protects them from rising tides and major storm events as well. 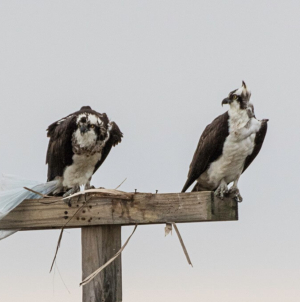 With the project now complete, this part of Assateague’s shoreline will be able to weather almost any storm that comes its way, and critters and beach-goers alike will be able to enjoy it for many years to come.